Dry cupping uses Chinese cupping set using fire to create vacuum. It is also are also called as fire cupping therapy. When the fire inside Chinese suction cups create vacuum it placed on skin and acts as suction therapy as cups gets attached to skin. In wet cupping therapy, the cupping therapist will make small cuts on the patient’s sterilised skin, to draw out some of the blood. It can take up to ten days for the patient’s skin to return to normal after a wet cupping therapy session. In Chinese culture, it is used as cupping treatment for COPD, cupping treatment for asthma, pneumonia and bronchitis, along with the common cold and other chest infections to help improve respiratory ailments. In Chinese cupping massage , the practitioner can move the cups around and glide them across your skin, and it is recognized as a form of suction cup massage therapy. 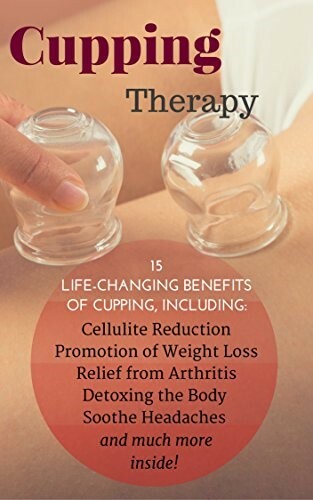 This cupping treatment for cellulite is common form of the therapy. Cupping massage is also used for weight loss. Cupping therapy is an ancient form of alternative medicine that originated in China which involves putting special cups on your skin for a few minutes to create suction either by flame in cup or suction pump. The suction facilitates healing and tissue repair with blood flow and helps with pain, inflammation, blood flow, muscle tension, relaxation and well-being, and as a type of deep-tissue massage. People are using cupping to complement their care for a variety of conditions. published in 2016 in the Journal of Evidence-Based Complementary and Alternative Medicine indicates conclusive proof that cupping works. The group receiving cupping therapy reported less neck pain than the control group, ERGO. Effects of cupping the Nervous System Stimulation of the sensory nerves of the skin is main mode of action of cupping therapy. It is demonstrated in a clinical experiment conducted at Kobe University, the inhibitory effects on hypersensitive pain include the areas controlled by the relevant nerves in addition to the area of direct treatment. That is reason treatment on the back is mainly directed to the central line (spinal nerves and parasympathetic nerves) and the sympathetic nerves beside it. The stimulation of these has a good influence not only on the automatic nervous system itself but also on various organs under its control. What are the different types of cupping? Modern cupping is often performed using glass cups that are rounded like balls and open on one end. During both types of cupping, your therapist will need cupping therapy set put a pure alcohol flame in the cup to create vacuum and quickly apply on your skin. The suction therapy dilates blood vessels reddens and raises skin. It is kept for three minutes. A more convenient and modern version of cupping is use of a rubber pump to create the vacuum inside the cup. Therapists may use silicone cups, which they can move from place to place on your skin for a massage-like effect. Wet cupping involves creating some suction by applying a cup for about 3-10 minutes. The therapist then removes the cup and uses a small scalpel to make light, tiny cuts on your skin. Latter, he does suction again to draw a small quantity of blood. Therapist may apply just one or 3-8 cups in first session of massage medical cupping . Antibiotic ointment may be applied afterward to prevent infection. Within 10 days your skin should look normal again. For wet cupping some therapist also get “needle cupping,” in which the therapist first inserts acupuncture needles and then puts cups over them. There are Many Benefits of Chinese Cupping including these top 10 benefits acupuncture cupping therapy in your life. Vacuum cupping of Chinese medicine is a trusted form of therapy: It has been used by Ancient Egyptians and Chinese dating clear back to 1,550 B.C. Being able to trust it is a big plus as there’s endless research on the practice! Get energized with suction cup therapy: Forget that cup of coffee in the morning, try cupping! It can be used to improve your energy flow because the bruises caused by the procedure are thought to be the negative energy elements coming to the surface and exiting the body. A detox doesn’t sound like a bad idea to us! Different choice of methods: Like wet or dry (like that cappuccino from Starbucks), there are different ways to do cupping. If you decide to do wet cupping, it will be more of a mild suction on your body. Dry will consist of creating vacuum in the cups to tug the skin upwards. Cupping treatment helps reduce pain: If you’re looking for a natural way to reduce joint and muscle pain, cupping is your answer. Cupping has been proven to significantly reduce pain in lower back issues, comparing it to typical treatments like painkiller medication. Cupping therapy benefits includes better Digestion: If you suffer from irregularity or irritable bowel syndrome, this method may be worth looking into. Since cupping is a stress reliever, this can also lead to a healthy digestive system, since most digestive issues are caused by high amounts of stress. Fire cupping therapy cold works: Drugs do not help cold and taking endless over the counter medicine that doesn’t work. Before any other treatment, try cupping instead. Cupping helps improve immune function by moving blood and lymphatic fluid throughout the body, which will help you get over those allergies or an annoying cough. Chinese cupping therapy gives a healthier complexion: Cupping can help eliminate skin inflammation, causing breakouts from acne or eczema to ease up. To help treat your problem, suction is applied to the affected area, and “nicking” the skin in the process to remove the breakout. Body cupping as Anti-aging: Not only does cupping help you feel better, it helps fight off wrinkles and mature skin. Make sure to use products after your treatment, like lotions and essential oils to absorb into your skin and feed it all the nutrients it needs. Even if you’re not worried about aging skin now, your future self will thank you for it! Suction cupping treat your overworked hands: Carpal tunnel syndrome is a painful condition you acquire when you put too much pressure on them. If you feel numbness or pain in your hands, the suction of the cups could help relieve the discomfort. After the treatment, your hands should feel relieved of pain and weakness. Cupping therapy is, effective against the so-called syndrome of general malaise, such as chronic headaches, dizziness, languor (mental or physical weariness), stiff shoulders, fatigue, etc. These are said to derive from anxiety, worry and bodily pain. It is also effective against endogenous chronic diseases such as high blood pressure, neuralgia and rheumatism. During treatment with this therapy on the back or the loins, for example, some middle-aged or elderly patients fall asleep, snoring loudly. This clearly shows one of the effects upon the nervous system. The mechanism of its effectiveness will be clarified some day. Thus the general and localized effects of this therapy strengthen the healing power against diseases and, together with a healthy diet and psychotherapy, cure or prevent disease completely. All cupping methods have some degree of influence on the nervous system. If performed by expert, cupping therapy has almost no cupping therapy side effects. You may experience will typically occur during your treatment or immediately after. There may be lightheaded or dizzy sweating or nausea during your treatment. The skin around the rim of the cup may become irritated and bruised in a circular pattern after treatment. There may be pain at incision sites or feel lightheaded or dizzy shortly after your session. The risk of infection is small but definite and is usually avoided if your practitioner follows the right methods for cleaning your skin and application of antibiotic creams after your session. Therapist must use all aseptic methods for cupping. Cupping therapy in the cosmetic field is a relatively new concept. Both the application and benefits are fast gaining acceptance throughout the acupuncture world as well as among the cosmetic profession. Over the last few years several versions of electrical as well as manual cupping suction pumps have been introduced to the cosmetic sector, especially in those beauty salons and spas that offer a ‘natural facelift’ or ‘body toning’. Cupping therapy cost is far less than conventional treatment.